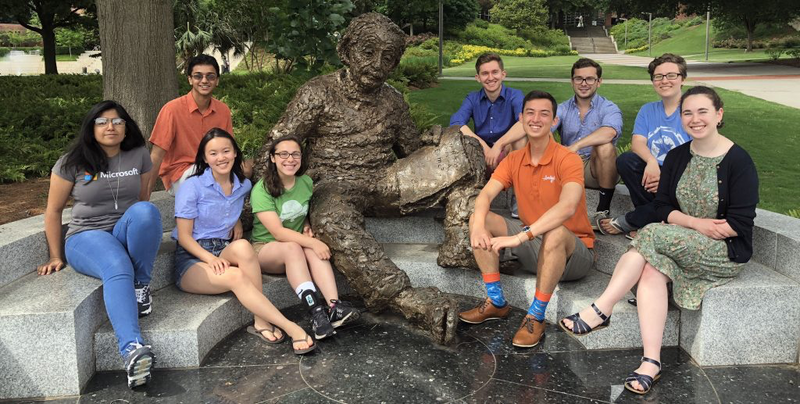 The Civic Data Science program at Georgia Tech is an NSF REU site that supports a 10-week immersive research experience for undergraduate students interested in contributing to the developing field of data science. The program integrates across on the data, analytics, and user interaction aspects of data science in a domain that has not traditionally benefited from advances in computing—the civic sector. While civic applications of data science are diverse, they share common themes: they are frequently place-based, they deal with data coming from siloed collection systems, they involve inherently incomplete and inaccurate data, and they produce information and insights for use by non-data experts in government, in community organizations, and by community members. By structuring the program’s research activities around civic data science problems, the products of the summer program to have near-term impact on our partnering local government, and non-profit organizations. The CDS program also has long-term impact on the students by demonstrating opportunities to put technical skills to work in areas of civic importance. Some of the recent projects would include the Atlanta Map Room, the RatWatch app, Seeing Like a Bike, and Electric Vehicle Infrastructure. ● Atlanta Map Room aimed to create and explore maps that represent citizens’ experiences in the city. Using a number of technologies to help residents express their unique perspectives of Atlanta, the Atlanta Map Room provides a platform for discussions on topics ranging from social justice to technology. ● RatWatch is an SMS chatbot designed to enable the citizens of Atlanta to easily report sightings and evidence of rats within their neighborhoods. The goal of this project was to shed light on the severity of the rat problem in Atlanta and improve the city's ability to effectively address the issue. ● Seeing Like a Bike is a continuation of a project from CDS 2017 that aimed to create a more inviting and effective approach to the growing trend of urban cycling. From last year’s progress of developing a platform of low-cost bike-mounted sensors, the team in 2018 worked to calibrate those sensors against research-grade sensors ahead of a larger test deployment. ● Electric Vehicle Infrastructure project assessed existing elective vehicle (EV) infrastructure in the United States to understand how it was serving the public. The assessment included a sentiment analysis of charging-station reviews (using existing data of Yelp-like user reviews of EV stations to gauge general sentiment), categorization of those reviews, and developing a predictive model for charging-station failure.